Get smart, simple, and intuitive cleaning with the BISSELL 1322 CleanView Deluxe Rewind Bagless Upright Vacuum. This vacuum features a Triple Action Brush Roll. Designed with long, silk-like bristles to gently remove fine debris from hard floors and short bristles work on carpet to lift and remove embedded dirt and hair. Easily turn vacuum on and off as needed with fingertip controls on the handle. The bottom Easy Empty dirt tank makes it simple to clean the vacuum out and multi-level filtration helps to reduce allergens. It gets the job done, so you can get on with your day. 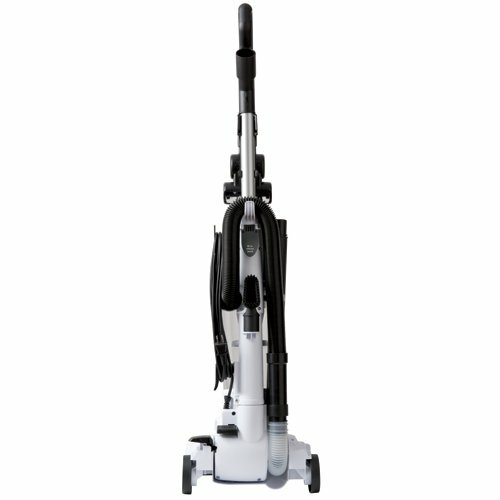 The BISSELL CleanView Deluxe Upright Vacuum is designed to deliver maximize cleaning on Multiple Surfaces. CleanView Deluxe Rewind Vacuum w/ Triple Action Brush Roll. 27-Feet Power Cord With Automatic Cord Rewind. Every soft surface in your home will get a great clean with this powerful tool. It’s perfect for stairs, furniture, upholstery, and more. When you’re finished cleaning simply push a button to store the 27-ft long power cord — no more wrapping by hand. Fingertip control On/Off button makes it easy to turn vacuum on and off with just a fingertip.